No two divorces are exactly alike, but mutual respect is an important tool to keep the peace in any struggle over aspects such as child custody or child support. Unfortunately, social media is sometimes abused by angry spouses who want to lash out at each other over perceived wrongs. That’s always a mistake. 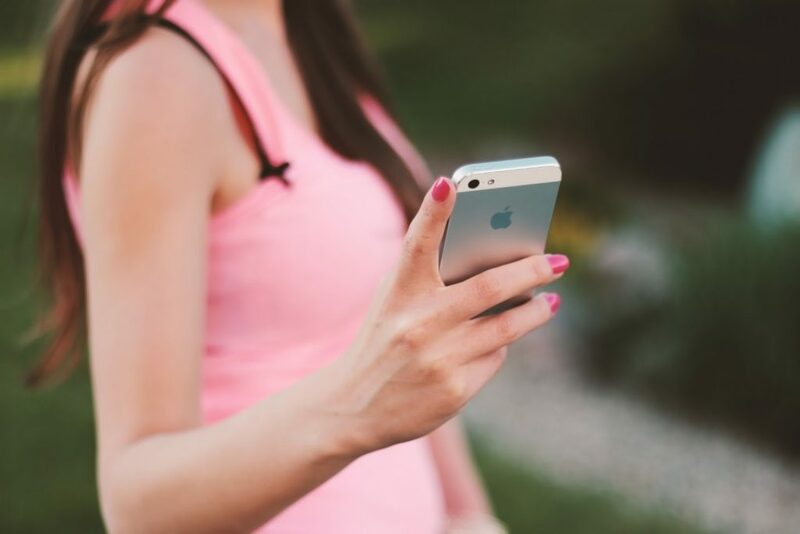 Consider these ways to avoid social media mistakes during a divorce. Avoid posting on your divorce altogether. In fact, if you can help it, don’t mention your estranged spouse online at all. However, if you feel that you must post about your divorce on your social media, ask someone who is knowledgeable about family law and your personal situation to read your posts before you publish them on a social media website. A trusted friend can point out why you shouldn’t make certain posts, or they can at least offer you insights on the possible consequences of a certain post. Don’t make your entire decision based on one person’s opinion, but having someone else to weigh in on the post can help you avoid impulsive posts that can have long-term consequences. During a divorce, some well-meaning but misguided friends and family members may make angry social media posts of their own. Also, they may comment on your posts with angry words about your ex or the struggle you’re in. If you notice any such comments, delete them and contact the person to ask them to not make any further angry comments. Try to nip this in the bud before it becomes a problem by privately asking your close loved ones to avoid posting anything about the situation online. If you have a hard time bringing up the topic for fear of offending them, start the talk by expressing the things you want to express online but then explaining all the wise reasons you’re refraining from posting about your estranged spouse. People most often get in trouble with social media when they rely on it as a place to rant or use it as a primary source of emotional support. Avoid this common trap by identifying safe spaces where you can rant in total privacy without worrying about your words coming back to haunt you one day. If possible, go to therapy. Nearly anyone can benefit from seeing a psychotherapist, and this can be especially helpful when you go through a life change as difficult as a divorce and custody dispute. Therapy is the ultimate safe space for expressing the hurt, anger, and confusion that you feel. And your words won’t leave your therapist’s office. Also, reach out to friends to let them know that you may need to rant and vent sometimes during the divorce or custody dispute. Ask a couple of close friends if you can call them any time of day if you have an especially hard time. Knowing that you can simply call them without guilt when you need to rant may empower you to avoid the temptation of ranting on social media. Things that are on the internet can seem more permanent than those that are in a book or even etched in stone. Things linger online sometimes even if you choose to delete them. Spiders save things that are on websites, and sometimes others repost content that others created without their permission. You have a chance that anything you post online will one day be read by your kids. In fact, if you post about your ex publicly online, you never know when that post can get back to your children. That can happen sooner rather than later. Always think about whether the post could hurt your children if they read it now or in the future. The privacy setting on Facebook’s posts and other social media websites’ posts can give posters a false sense of security. You may think that a friend is on your side, but anyone who sees your post can easily screenshot it and share it elsewhere online or even send it directly to your ex. Act as though even friends-only posts are public when posting on your estranged spouse. Also, exercise caution when sending private messages through social media websites, too. While those should not be seen by anyone other than your intended recipient, simply call a friend to talk if you want to express anger during the divorce. Finally, always err on the side of caution with social media. If you feel compelled to make a negative remark about your estranged spouse, ask your lawyer before making any social media posts that may compromise your divorce. Contact the Madison Law Firm today to speak to a caring member of our team about how we can help with your divorce. Making the decision to divorce someone you once loved can be incredibly challenging, which is why you might turn to family and friends for support. Unfortunately, talking about your divorce online can cause a long list of problems, since social media posts are admissible in court. Here are three types of posts you should avoid making online. Learn how they could injure your case. If you want your friends and family members to understand your reasons behind your separation, you might be tempted to go online and post a lengthy statement about what happened and what you hope for the future. Unfortunately, making statements online can become an assortment of problems, since this gives your audience access to your mindset. For instance, if you aren’t happy about the divorce, you might talk about how you are eager to get things over with. If your ex, their attorney, or anyone who knows them reads this information, your ex might be more tempted to try to speed through negotiations, which could leave you with less than you deserve. Explaining your side of the story also gives outsiders many opportunities to comment, which is a breeding ground for problems. For instance, if your soon to be ex-sister-in-law decides to explain her side of the story in your comments section, you might end up with a harassment lawsuit on your hands in addition to a potentially messy divorce case. To avoid problems, avoid making statements about your living arrangements or marital status on social media. Instead, consider suspending your accounts or not saying anything at all. Changing your relationship status online will have the same effect as announcing your divorce without sparking a war of words. Divorce can be an incredibly emotional time, especially when you feel wronged by your ex. Unfortunately, going online to speak your piece could cause problems, since any potential derogatory statement could be grounds for libel, slander, or defamation lawsuits. While slander is making defamatory statements about someone verbally, libel is publishing written defamatory statements about another person. Unfortunately, with the advent of video posts, divorcing partners can make either damaging statement in a matter of seconds. Because defamation can impact a person’s ability to make money or continue relationships with family members, friends, and children, courts tend to take social media trashing very seriously. Never make statements regarding your former spouse’s character, lifestyle habits, or parenting styles, and try to keep friends and family members from making similar mistakes. Although making defamatory posts online might seem like an easy way to tip the scales in your favor, remember that saying the wrong things could hurt your own divorce settlement. For instance, if you accuse your ex of being dishonest and stealing from you and the statement is marked as public, this could impact their ability to earn an income, since their employer might also take issue with the statement. If their income drops, this could impact your spousal and child support. With posting statements about your ex online, work hard to keep things civil. Address one another respectfully and professionally online, and avoid posting on their page or messaging them without getting your lawyer involved. Investing in a new car or enjoying a nice vacation with your kids can seem like an innocent enough post, but unfortunately, the court might see it another way. 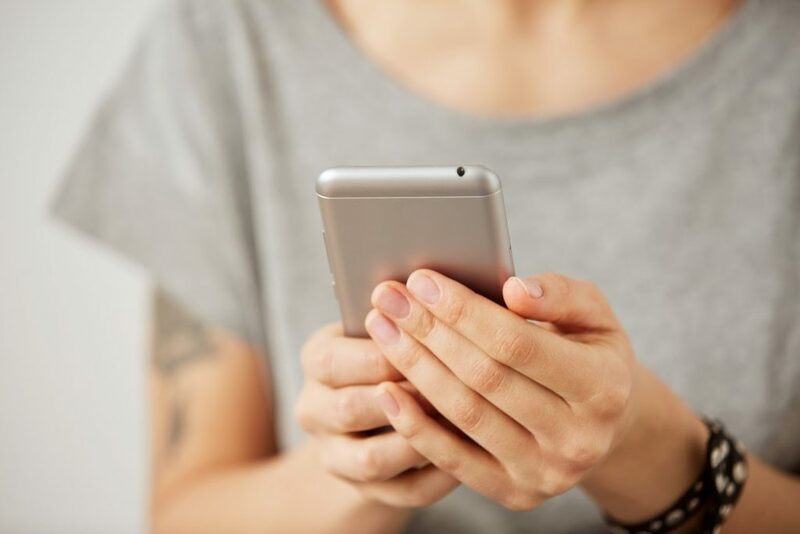 If you use social media to show off new purchases, this could be a sign that you hid assets during your divorce — a transgression punishable with civil and criminal penalties. Hiding assets includes actions like failing to disclose income sources or temporarily giving money to family members or friends, only to use those income sources or returned loans in the future. If the law suspects you of hiding assets, your ex’s attorneys could challenge your property disclosures, potentially increasing the number of assets subject to distribution. If the court finds you to be hiding assets, you could face significant fines or even jail time, since you promised to be honest and forthcoming when the divorce ensued. The law could void prenuptial and postnuptial agreements and could re-open your settlement agreement. As you progress through your divorce, focus on staying away from social media and avoiding any indication of extravagant living. What you do during a divorce matters, which is why working with lawyers is such an important part of your separation journey. Here at Madison Law Firm, PLLC, we focus on helping our clients to navigate legal matters, while working hard to make sure they enjoy a positive outcome in court. To learn more about our business, visit us online today or give our office a call. If you have children and are requesting a dissolution of marriage (divorce), annulment, or legal separation in the state of Washington, a family court judge will have authority over the decisions that affect your kids’ wellbeing. Here’s what you should know about parenting laws in Washington State. Washington family law is based on the best interests of the children. And the term custody implies physical control and guardianship. The view of a child as an object — or as physical property to wrangle over — doesn’t necessarily take into account what’s in the best interests of the child from a developmental standpoint. No matter where your child lives, separating from one of their parents is hard for most children. Washington family law recognizes the need for both parents to be as involved as possible in their children’s lives to foster a sense of connection and continuity. It’s always in your best interest to hire a divorce attorney whether you’re filing for divorce or have been served with divorce papers. Family law is complicated and has intricate rules that you must follow for your kids’ sake. However, you and your divorcing spouse need to set aside your personal disagreements to create your own plan for your child’s living arrangements. For example, if both parents live in the same school district, your child can live with each parent for a week at a time. Some kids live with one parent most of the time and then live with the other parent on the weekends or over the summer. You and the other parent can create the best residence plan for your child based on their needs, your work schedules, and your individual living arrangements. Whether or not you and your partner agree on your child’s living arrangements, a family law judge in Washington will approve what is called a parenting plan. Both parents are required to follow the plan. When you and your ex can’t agree on a parenting plan, the judge will create one for you. A parenting plan is a legal document that includes orders involving the child’s well-being. By law, parenting plans created in Washington State must support and enable all parents to have a stable, loving, and nurturing presence in their children’s lives. Of course, there are exceptions. For example, when a parent has committed domestic violence or is on drugs, they may not be allowed to contact their children. However, most parents should get used to the idea that their children can love both parents and be part of both parents’ lives. This attitude will help you follow the parenting plan. The parenting plan also specifies who has the authority to make educational, medical, and other decisions for the child. Each parenting plan spells out how issues will be resolved if a parent refuses to follow the plan. Mediation and arbitration are two methods to resolve issues. If you or the other parent break the parenting plan and refuse to let the children visit the other parent as ordered, you or your ex-spouse can be found in contempt of court. For the first contempt-of-court charge, you may be ordered to serve jail time or pay a fine. But if you violate the plan again within three years, the judge may alter your parenting plan completely. Parenting plans can be modified when circumstances change. For example, there are special rules for parents actively serving in the military. When a military member is deployed, they may petition the court to create a temporary parenting plan while they’re away on duty. There are also provisions found in Washington’s Relocation Act that allow a parent to request a child’s move away from the immediate area. The other parent can object to the child’s move. A family law judge will weigh the pros and cons of any relocation before approving or denying a relocation request. One consideration that judges address is whether the separation of a child and one of their parents is more harmful than denying the move to the other parent. The judge will also weigh details like the age and development of your child when deciding if a relocation is in the child’s best interest. A competent family law attorney is the best person to help you draft a modification petition for a parenting plan, military deployment, or relocation. Contact Madison Law Firm, PLLC to help you develop a parenting plan, modification, or other family-law-related documents. Figuring out custody can be the most challenging part of a divorce. However, it doesn’t mean that you can’t peacefully parent. In fact, conscientious parents prioritize the well-being of their children throughout the divorce, and that may mean making tough choices in the best interests of the kids. According to TIME, less than 20% of divorced couples share joint custody of their children. Only about 18% of custody cases are split 50-50 in the state of Washington, but that doesn’t mean it isn’t right for your family. If you believe your ex is a good parent, it’s a good idea to talk to a divorce attorney about whether shared custody is a viable option. Consider these situations in which it can work well for divorced parents and their kids. Although shared custody has only been the norm in the state of Washington for about a decade, it is no doubt a way to help kids maintain strong relationships with both parents. Many divorced parents decide that is the most effective way to co-parent their kids. When both parents agree on the major issues and can be cooperative with each other, joint custody works best. More specifically, shared physical custody where kids get to spend equal time with both parents works well if you and your ex are willing to be cooperative, understanding and flexible. It’s not about giving each parent exactly half of all their kids’ time. It’s about encouraging children to have strong relationships with both parents who are a consistent presence in their kids’ lives. You and your ex must be prepared for complex logistical coordination for joint custody to work well. How well your kids adjust to the arrangement is likely to depend on how peacefully and compassionately you and your ex can negotiate the specifics of the custody arrangement. The best interests of the kids must be front and center with every negotiation with your ex. Each child’s personal development and adjustment to the family’s post-divorce lifestyle. Each parent’s career and commitments that are inflexible. Kids’ extracurricular activities and commitments. The distance between each parent’s home and how close the houses are to schools. The willingness of each parent to honor and stick to a rotating schedule. Your children’s schedules will be the primary consideration. You and your ex need to discern whether you can realistically balance your own work schedules with the kids’ schedules to make shared custody feasible. Sacrifices will inevitably be made on the part of both parents so that children don’t have to sacrifice when it comes to their relationship with both parents. For a long time in this country, custody was granted to one primary parent after a divorce. It was thought that it would be more stable for kids to live with one primary parent instead of being shuffled back and forth between households. However, it turns out that getting to spend a nice quantity of time with both parents may be the best way forward. It’s important to discuss the situation with your children. Talk openly about the pros and cons of joint custody. Ask how they would feel about carrying things between homes or getting duplicates of some items. Make sure they understand what it would mean for you and your ex to have joint physical custody. They may feel that the frustrations and inconveniences of splitting time in different homes are worth it. The Washington Post reported on a study that analyzed responses from nearly 150,000 kids between the ages of 12 and 165. The study revealed that children whose parents had joint physical custody were less likely to suffer from stress and psychosomatic health issues like headaches, sleep disturbances and loss of appetite. It’s impossible to draw conclusions based on one study, but the data certainly is worth weighing when considering what may be best for your children. The study doesn’t conclude that joint custody will cause or relieve psychosomatic problems, but it is worth looking into the issue and discussing the matter with those who are familiar with your children. What’s good for some kids wouldn’t be suitable for others. Finally, keep in mind that joint shared custody isn’t for everyone. However, when it’s a good fit for families, it can help kids thrive and enjoy the best from both parents. If you are considering a divorce, contact Madison Law Firm PLLC for help with family law. You can receive a free, no obligation consultation with an experienced lawyer who is on your side and can help protect your best interests throughout the divorce. A retainer agreement — or fee agreement for family law cases — is a formal, written agreement that both you and the attorney you hire to represent you sign. Also known as a representation agreement, the purpose for drawing up the document is to outline in detail what each of you should expect from the attorney-client relationship into which you are entering. The agreement also states how you will be billed for the legal services you request. In the state of Washington, unless you and your attorney agree to enter into a contingent fee arrangement, the law doesn’t require that you get a fee agreement in writing. However, a written agreement is still a good idea, even if you agree to pay the attorney a flat fee or hourly billing rate. 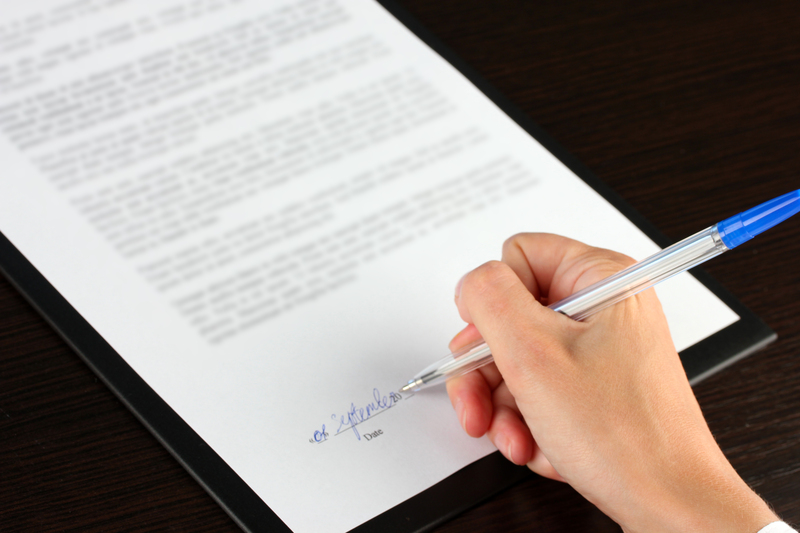 Like other written contracts, once you and your attorney sign the agreement, it becomes an enforceable legal contract. By specifying the rights and responsibilities each of you have in the relationship, a retainer or fee agreement is a vehicle for resolving any conflicting issues that may arise between you. For instance, you as the client are responsible for providing your attorney with information that is complete, accurate and truthful. In return, your attorney is responsible for acting with due diligence on your behalf and keeping you informed about the status of your case. A written agreement that outlines the nature of the legal services the attorney will provide, as well as the method and amount of compensation, can help prevent the development of disputes between you and your attorney. If the legal services you’ve requested involve more than drawing up documents, the agreement should state that the attorney makes no guarantees about the outcome of your case. When you and your attorney sign the agreement, the two of you are agreeing to move forward with the legal services you have requested. Your signatures on the contract also affirm that each of you agree to the terms and conditions set forth in the agreement. Consequently, it’s important to be clear about the legal matter in which the attorney is representing you. If the attorney you hire bases compensation for the legal services he or she provides on a flat fee billing structure, the agreement should specify the services and expenses the fee covers. Family law attorneys often charge flat fees for drafting a last will and testament, drawing up living will and power of attorney documents, writing estate planning documents and settling child custody, support and visitation agreements out of court. If the attorney you hire bills on an hourly basis, the agreement should specify the hourly billing rates for not only the attorney but also for any associates or paralegals who work on your case. Fees are based on the number of hours the attorney, his or her associates and a paralegal spend on your case. Any amount of time these legal professionals put into research, negotiations, document drafting, correspondence, telephone calls, emails, conferences, court time and travel time may be billed on a monthly basis. If you pay a retainer fee, the monies deposited in the trust account are applied to itemized, monthly bills until the amount set aside in trust is fully spent. Often, once the initial retainer deposit is used up, clients who pay by the hour are billed on a weekly basis. The bill covers the hours for the previous week with payment due upon receipt. The agreement may also state that payments you make are nonrefundable. You and your attorney may include additional provisions in the fee agreement. These may include the right of either of you to terminate the relationship, days and times when you can communicate with the attorney and the types of legal services your attorney is not providing under the contract. If you request legal services other than those stated in the signed agreement, you must then negotiate a separate agreement. Legal services not included in the original agreement usually are billed separately. Regardless of what provisions the fee agreement contains, it’s important not to sign the contract unless you are certain that you fully understand the terms stated. Retainer fees generally are due upon signing of the agreement. For answers to additional questions you may have about attorney legal fees, retainers or attorney fee structures, the legal team at Madison Law Firm, PLLC can clarify how family law representation and fee agreements work.